Dogs usually sleep in different positions in their sleep, but one of the most entertaining sights an owner can see is when a pet sleeps on its back. This sleeping position could also be seen as a request to tickle the dog's tummy. 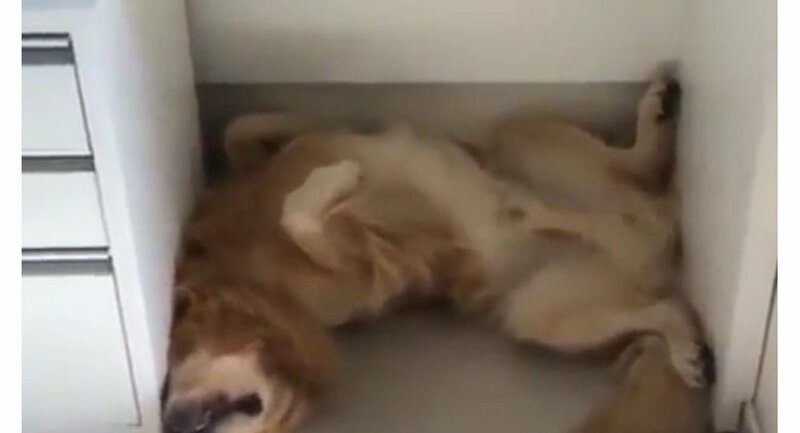 A golden retriever has been captured on video while sleeping on its back under a table. Sleeping on its back allows a dog to feel comfortable, because the whole body is relaxed. When a dog is curled up, it is unable to feel this sense of relaxation, as all its muscles are tense while in this position.